This year we'll be gathering our boxes on November 18. Pick your empty boxes at any service between now and then. See the charming video below for instructions on how to pack your box, but don't miss this year's prohibition on toothpaste and candy due to shipping regulations. In 2014 Pastor Joyce Swingle felt led to share with the check-out clerk why she was making her purchases, and the clerk told how her daughter received a box after their family was effected by Superstorm Sandy. The woman said she didn't realize it was individuals that packed the boxes. We're expecting that many boxes will go to children who were in the path of the devastating hurricanes this season. Our community gift this year will go toward training The Jesus Film, which has helped to increase our denomination (Church of the Nazarene) exponentially. Shoe boxes and donations to this community gift will be collected together on November 18th, at our 11 a.m. Worship Service at the Crowne Plaza. Please bring your packed boxes, rubber bands to secure them and the appropriate labels for each box, along with the mailing fee ($9/box) and any donation to the community gift. Checks for the community gift should be made out to Westchester Chapel with a note in the memo line for Samaritan's Purse. 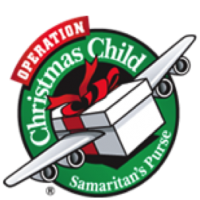 Checks for the mailing fee should be made out to Samaritan's Purse, with a note in the memo for Operation Christmas Child. You can also pay the mailing fees and register your boxes online at www.SamaritansPurse.org, which enables you to track your box. Please come to service even if you do not have a box to add; there will be plenty of extra boxes to which you can add your craft item and bless as they wend their way to bless the children this Christmas. Here are some inspirational and instructional videos to help prepare your minds and hearts for this great blessing.